We managed to fit in some trail running and wildlife spotting at Studley Park last Sunday morning. This resulted in a quiet trail half marathon for Tracy, and along the way there was plenty of wildlife spotting. 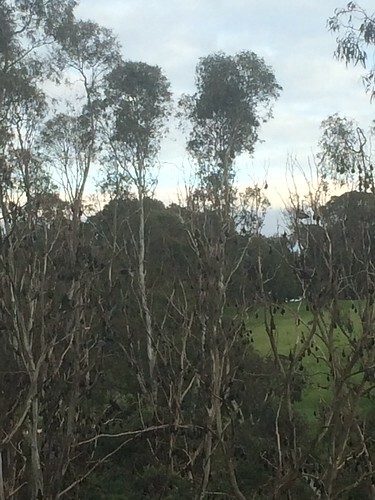 The Grey-headed flying fox (Pteropus poliocephalus) colony at Yarra Bend Park, Kew was a raucous as ever. 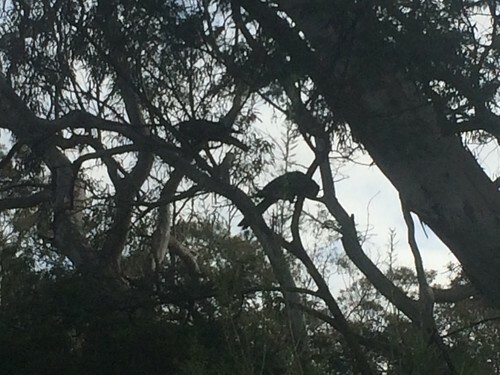 We were also greeted with a flock of noisy yellow-tailed black cockatoos (Calyptorhynchus funereus) up near the Studley Park Boathouse. This entry was posted in #microadventure, 2016, outdoors. Bookmark the permalink.